We enjoyed this tasty side dish this evening. It was found at BiteoftheBest.com. 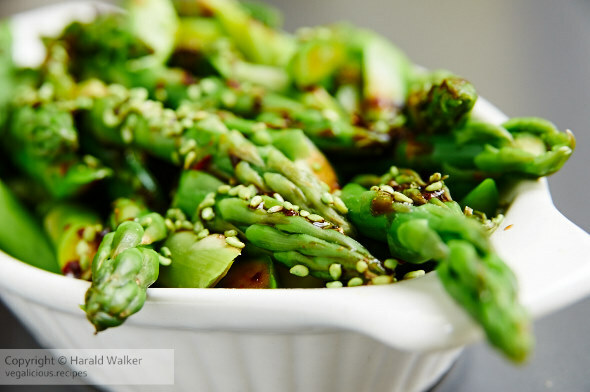 It is a very tasty way to enjoy fresh green asparagus. We did not cook it quite according to the instructions. We steamed the asparagus, then followed the instructions with the sauce. Perhaps you will find it as tasty as we did. Posted by Chris Walker on April 14, 2010 in Asparagus, Reviews.